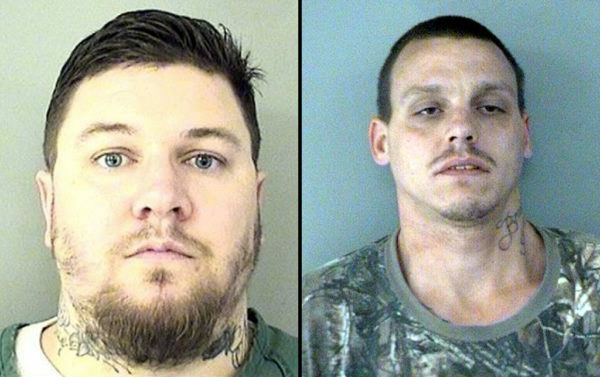 Two Northern Virginia men have been sentenced after being convicted of ripping off elderly homeowners in Arlington’s Yorktown neighborhood. More from an Arlington County Police Department press release, below. Two men were sentenced on Friday, March 3, 2017 in the Arlington County Circuit Court for their role in a fraud scheme targeting Arlington County residents. John Patrick Walsh, 32, of Culpepper, VA was sentenced to seven years in prison, with all but two years suspended, on the charges of false pretenses and conspiracy. He was ordered to pay restitution to the victims in the amount of $62,100 and ordered to five years of probation upon release from incarceration. Mark Sisk, 31, of Boston, VA was sentenced to six years in prison, with all but two years and five months suspended, on three charges of false pretenses. He was ordered to pay restitution to the victims in the amount of $62,100 and ordered to three years of probation upon release from incarceration. On September 10, 2016, Walsh and Sisk approached the victim’s residence in the 4800 block of N. 27th Street and fraudulently claimed to be contractors working in the area. They advised the elderly residents that they were in need of serious home repair and that failure to comply could result in the home catching fire. Throughout the month of September, Walsh and Sisk misrepresented the need for work and provided false information to the victims that work had been performed. Through a series of repeated home repair scams, the victims were defrauded of $62,100 in cash. Detective K. White was the lead detective.